• Publishers: Leadstart Publishing Pvt.Ltd. The Mahabharatha never ceases to fascinate. By far the longest of the world s epics, it transcends the limitations of genre. History, encyclopaedia, philosophy, scripture, warrior saga, it encapsulates all these in one exalting epic tragedy underscoring the truth in the ancient adage that the whole knowable world is Vyasa s leftover. The Great Epic of India encompasses an awesome interplay of human effort and destiny, set against the backdrop of inexorable Time. 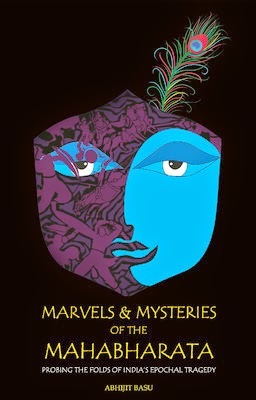 Marvels and Mysteries, with its lucid and engaging narrative, seeks to unravel some of its enigmas: the characters of Vyasa, Krshna, Yudhishthira, Arjuna, and Draupadi; aspects of the Mahabharatha s historicity; its medley of interpretations; the stupendous text-critical project to sift its perceived accretions; its inter-relationship with the Ramayana and other epics; and its universal relevance brought home through a series of trans-cultural comparisons. This is the one book about the Mahabharatha which everyone will love to read and gift! ABHIJIT BASU, one-time research scientist and former adminis¬trator of government finances, is presently engaged as part-time independent director in the corporate sector. An avowed admirer of the ideal of the Renaissance man, Basu has also been a life-long follower of the liberal arts, especially Sanskrit, English and Bengali literature, and history, apart from his keen interest in the sciences. Of late, Basu has been busy as an author and polymath editor, covering a broad spectrum of topics and ideas. The first feel one gets on holding this book is of awe – the cover page is amazingly designed. The colour combination and the choice of the picture with the 3D effect will surely make you say WOW. A book that is actually inviting in every manner. As you see I had already some notions in mind when I held the book for the first time. So when I began reading I was already expecting, perhaps a lot from the book. The author does full justice to my expectations. Exemplarily research backed with fabulous narrative skills is how this book can be described. Having read the Mahabharata so many times since childhood there is a certain expectation when it comes to hearing this already told tale once again. And this author does full justice to the tale with no place where he seems to be challenging my beliefs and faith rather; he makes it stronger by giving adequate reasons behind the same. I would recommend this to everyone who enjoys such genres and also to people who can read well researched topics with ample history behind them. Not for people who like light reads. 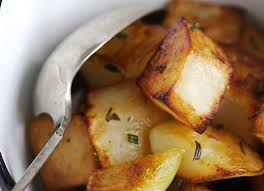 This book is like sauted potatoes - crunchy, delicious and filling! It's refreshing for an author to read such good words from a discriminating reviewer. Thanks. Sir this book deserves all the accolades and much more! It is actually a gem of a book. Glad that you like the book. Thanks. Sir, it is an honour to have you here! Thank you so much!